MASK MANIA - I can't believe it ♥! | Memorable Days : Beauty Blog - Korean Beauty, European, American Product Reviews. 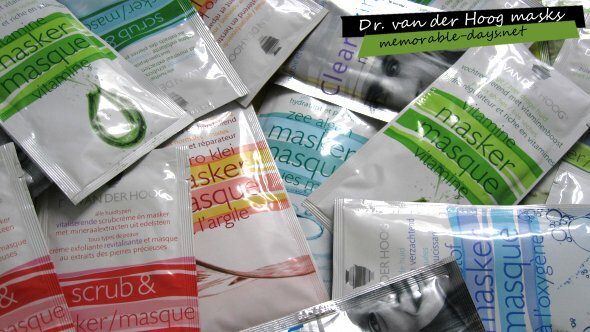 MASK MANIA - I can't believe it ♥! Two weeks ago I received an email from the Dutch company Dr. van der Hoog that I was one of the winners of their giveaway. I was like, whoa FOR REAL o_o? I had never won anything from a company before, so I was extremely happy when I received this large package \^o^/ !!! 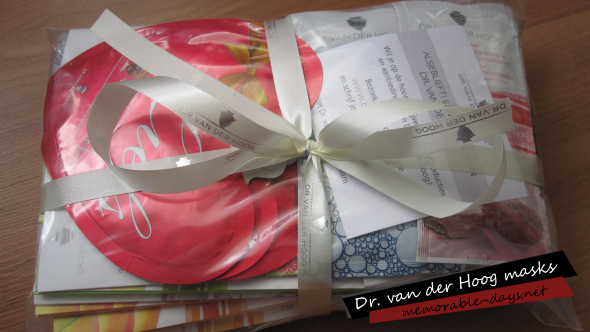 I really love the masks of Dr. van der Hoog and I'm not saying that because I received this xD. It's just my favorite mask brand in The Netherlands! I opened the package and there were lots of creme masks inside. And these are masks which you have to mix with hot water. 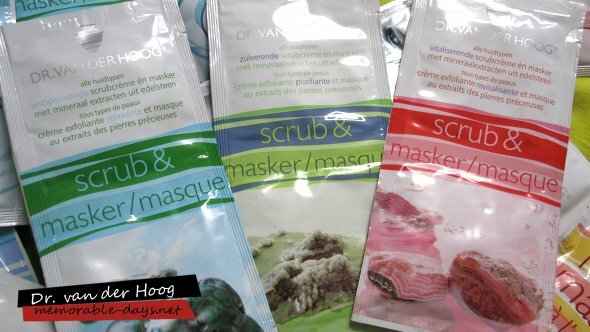 It looks like this - see my old review: http://www.memorable-days.net/2010/09/mask-set-dr-van-der-hoog-seaweed-mask.html. I'm extremely happy that I received this package and I probably will share my joy with you girls and hold a small giveaway again. So who's interested ^____^? wow thats a lot of masks! congratulations! Maarrrrr je hebt nog een giveaway gewonnen :D!! Die van mij namelijk ^^! Gefeliciteerd!! Wil je zo lief zijn om je contactgegevens aan me te geven zodat het naar je opgestuurd kan worden :)? WOW, I've never seen so many masks at once! Congrats! ..and of course you do a small giveaway! Sharing is caring! ^-~ Haha! wow this really is mask mania! cant wait for the reviews :D congrats again! Oeeeh Elisa, dit is echt jouw 'hemel'! Geniet ervan, je hebt het verdiend! omg, zo cool! :O En wow je hebt er echt heel veel van zeg! Trouwens ik heb je ketting binnen! :D Heel erg bedankt! 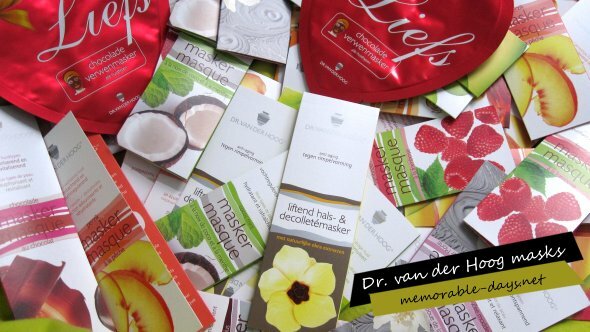 Ik heb laatst ook 52 Dr. van de Hoog maskers gewonnen, echt zo gaaf! <3 Geniet ervan! wow dat wordt lekker je gezicht verwennen!! @Yak man, wow das snel!! hope you like it :D ! Congratulations on winning the giveaway! That's so awesome I love masks!!! :) Hope you do a mini review. Congratulations! How lucky! That's a lot of masks. so ive never used a mask but they look so colourful!! i love getting stuff in the mail too-i was so happy just to get the hello kitty plates you mentioned! and i even gave them away and was still happy :) <3 sounds like great luck to come!! @DOTR & Sanne & Joey : thank you ^__^! This is awesome because you don't have to go out and spend money on masks for awhile. stop by if you like! Congrats on winning Elisa! Haha 52 masks should last you quite awhile! Oh god ik ben echt jaloers op je haha.